Nublu İstanbul, the Turkish branch of jazz saxophonist İlhan Erşahin’s New York-based jazz club Nublu, opens the new season this weekend in its new venue in Taksim. Located on Sıraselviler Caddesi, No. 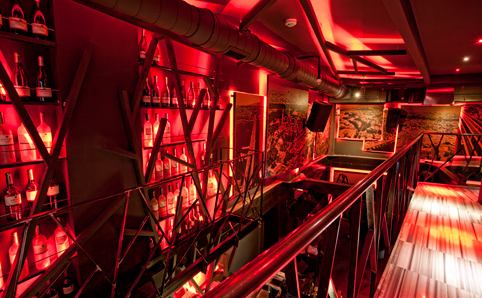 55, the new Nublu İstanbul opened its doors for the first time Thursday night with a special gathering for members of the press. The new season at Nublu İstanbul, which was previously in the Karaköy neighborhood, officially got under way Friday night with a live performance by İlhan Erşahin's İstanbul Sessions project. The quartet, in which Erşahin is joined by Alp Ersönmez, Turgut Alp Bekoğlu and İzzet Kızıl, is also performing at the venue on Saturday night before they enter the studio to continue the recording of their upcoming album. Doors open at 9 p.m.